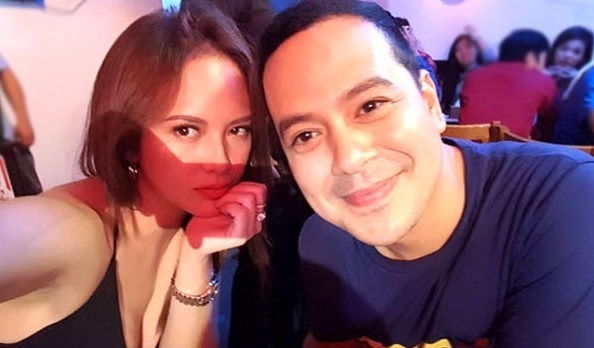 Ellen Adarna has broken her silence on rumors that she's expecting a child with alleged boyfriend John Lloyd Cruz. 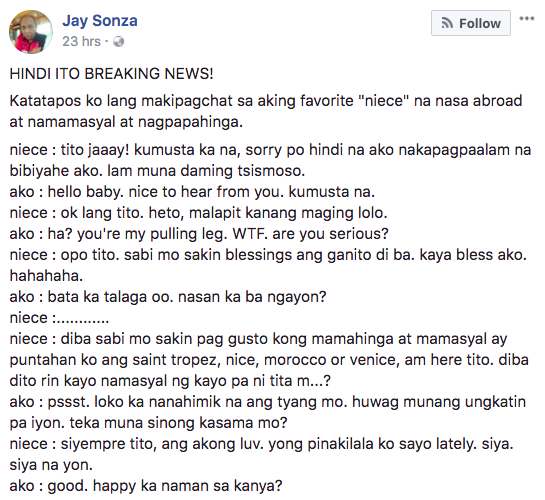 Rumors about her pregnancy surfaced online after veteran newscaster Jay Sonza posted on facebook his conversation with his niece named 'Elena,' who's currently out of the country with her beau. 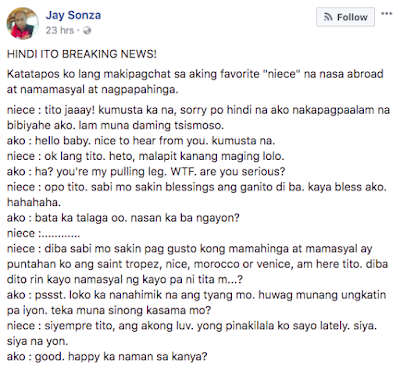 Many netizens were suspecting that he was referring to Ellen considering that his niece mentioned 'Morroco' and it coincided with Ellen and John Lloyd's visit to the said country. 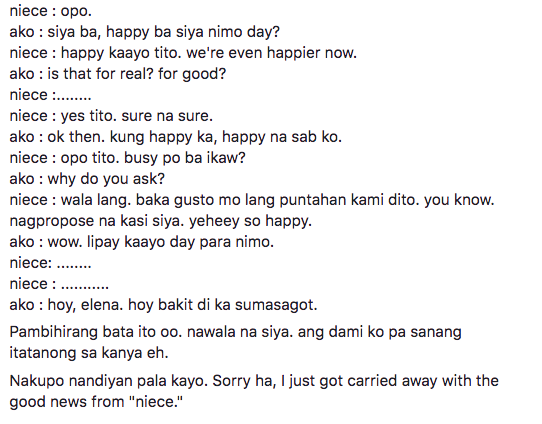 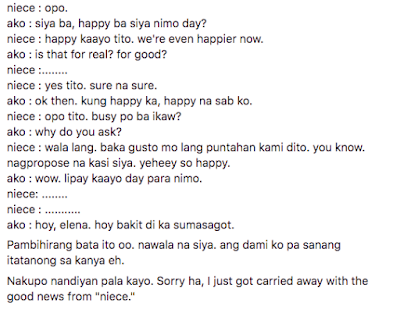 Here's the conversation between Jay and his niece Elena.